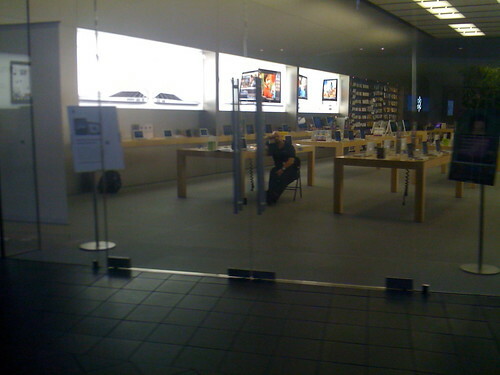 An employee or security sitting bored the Apple Store in Bondi Junction. It is about 8pm. So are they closing up, or waiting for something else? This entry was posted in Mac, Photos and tagged Apple, Bondi Junction, bored, night, photo, store. Bookmark the permalink.